You can track your order easily from 2 places. 1. Your despatch email: We'll email you when your order is despatched and include a direct tracking link for your parcel. Please just allow a little time for the parcel to reach the courier depot from our warehouse, as this is where the tracking information begins to update. This should take a maximum of 24 hours. 2. Your account: Simply log in and select the order you want to view from the "my orders" section of your account to find another direct tracking link for your parcel. All our couriers have their own websites and care teams, should you wish to contact them directly. 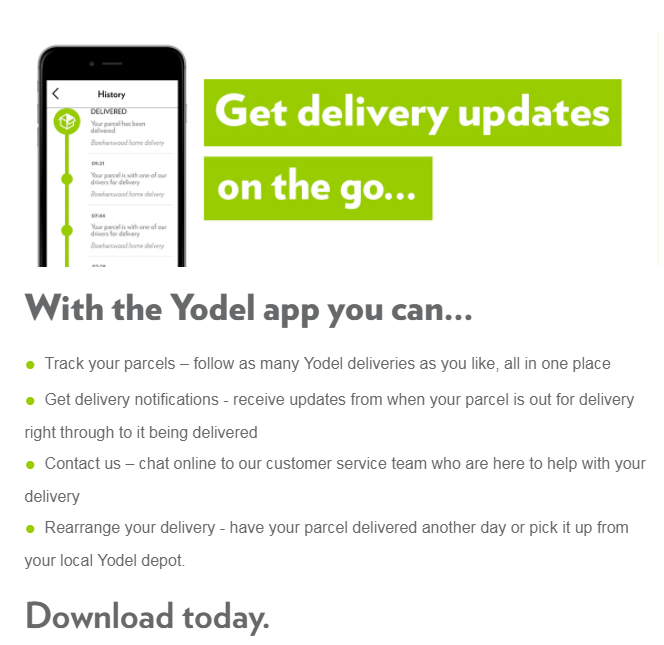 DPD and Yodel both offer an app, which is compatble with Android and iPhone, which we really recommend to give you greater control of your delivery.